The Endeavour Fern Gully is located on the traditional land of the Bun Wurrung people. It is one of the very few known sources on the Mornington Peninsula for the Austral Mulberry (Hedycarya augustifolia), which was used by the Bun Wurrung people to produce fire sticks, and which they may well have traded locally. Endeavour Fern Gully is a very small part of the 21,300 acre Arthurs Seat run originally licensed to Andrew McCrae in 1844. In 1865 James McKeoun purchased a 216 acre block which in 1866 was then sold to James Burrell. The property was transferred to Robert Sheehan in . In 1900 it passed to their son in law, William Holmes. 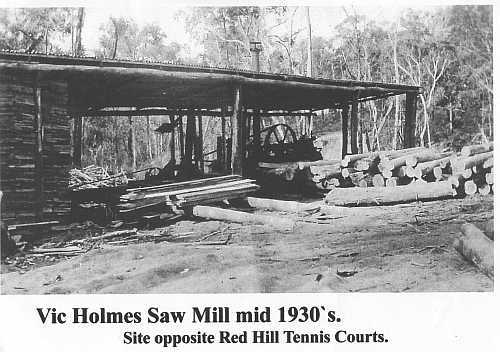 In 1927 the son of William and Emily, Victor Holmes inherited a portion of the property and built a saw mill on the upper part of Stony Creek, milling much of the timber in the area. During the 1980s, much work was done by volunteers, fencing off the gully and controlling weed. The team of volunteers included National Trust members and SPIFFA volunteers.